One of the easiest ways to mess up your investment portfolio is by tinkering with it too much. That's when pesky fees and human error tend to drag down performance. Unless you get super lucky, this common mistake can turn into an expensive double-whammy. Investors in China apparently didn't get this "less is more" memo. 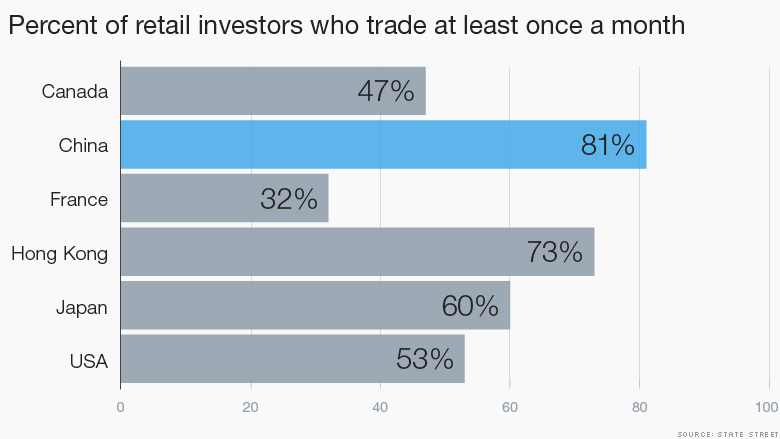 Eighty-one percent of retail investors in China surveyed by State Street said they trade at least once a month. That's the highest of any country on the planet. Likewise, 73% of investors in Hong Kong said they trade monthly or more often in stocks, bonds, currencies and other securities. Those are very high figures, especially considering just 53% of Americans and 32% of French investors say they trade monthly or more often. "In the majority of cases, this does not work out to the benefit of the investors. Frequent trading destroys the value of your portfolio," said Suzanne Duncan, global head of research at State Street's Center for Applied Research. She pointed to fees tied to each transaction as well as the tendency for investors to buy high and sell low. In other words, American investors should not emulate their Chinese peers in this financial strategy. It's telling that only 3% of Chinese investors told State Street they feel prepared to meet their financial goals, compared with 20% of U.S. investors. Investing as a form of gambling: So what's behind the desire to trade frequently in China? Part of it may be a cultural difference. While most Americans say they invest to meet their retirement goals, many people in China and other Asian countries say they do it because it's enjoyable. "It's fun. It's what they do as a hobby," said Duncan. Gambling is officially illegal in China -- with the exception of Macau -- which may encourage some Chinese to get their fix through stock wagers. There's a saying in China that the domestic equity market is a "better casino than Macau," a Shanghai-based financial professional told CNNMoney. "It's hard to find people not trading stocks these days, especially in big cities. It's the best pastime for the retired," she said. Short-term focus: Alvin Cheung, an associate director at Prudential Brokerage in Hong Kong, said some people come into his office every day to trade stocks. "People are very concerned about the stock market," he said. "The society in Hong Kong encourages people to invest as early as possible." Part of the short-term focus on stocks may be fueled by painful memories of Mainland Chinese markets, which until recently had struggled mightily despite the country's enormous growth. 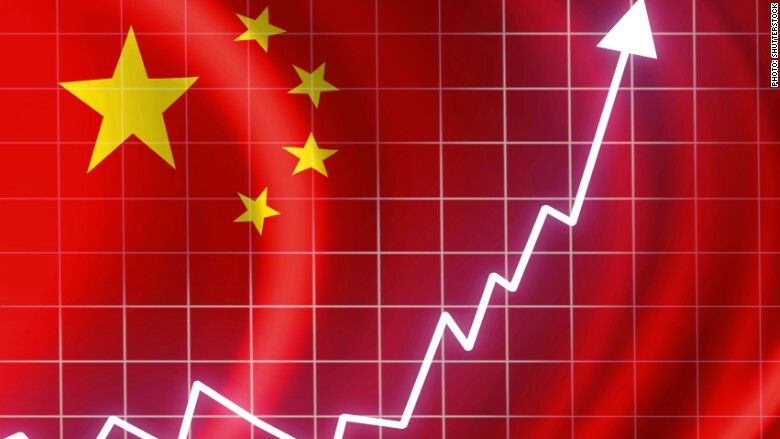 "In China you have had a disastrous market for over 20 years. So many people lost so much that they don't have a lot of trust in companies," said Andrew Stotz, a financial analyst who is based in Thailand. "Hence, they view the market as just a place to gamble and place short-term bets," he said. Related: China's big chess move against the U.S.
Buying at the top? It's easy to see how the recent gains could encourage Chinese investors to tinker even more with their portfolios. The Shanghai Composite has nearly doubled over the past year alone. Forty-two percent of Chinese investors told State Street they would be more inclined to invest additional savings if the markets went up significantly, compared with 27% of global investors. "They have the tendency to buy high and sell low. That's the natural inclination," said Duncan. -- CNN's Vivian Kam contributed to this report.